Axfer Technologies, widely known as AXFER is a professional web design and website development company providing website and software solutions to businesses and individuals. 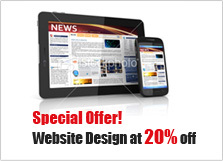 A Website is a very essential requirement for any business, product and services. Logo Designing, Web Designing, Graphic Designing, Web Development, Blogging, Search Engine Optimization, I.T Consultation, Writing Services, Branding, Multimedia Solutions, Software Products and Development, Web Hosting, Server Administration, and Testing are the various services offered by Axfer. Our offices are located in Hull, UK, California, USA, and Cochin, India. Axfer Technologies works according to your business requirements by understanding the business model and implementing it. Axfer Technologies has an expert team of designers, programmers, search engine optimizers and other technical staffs to implement the best solution for your businesses. Our main objective is to help you get good profit and successful business by getting attention and thus leads for your business or product or service through each and every service we do for you.